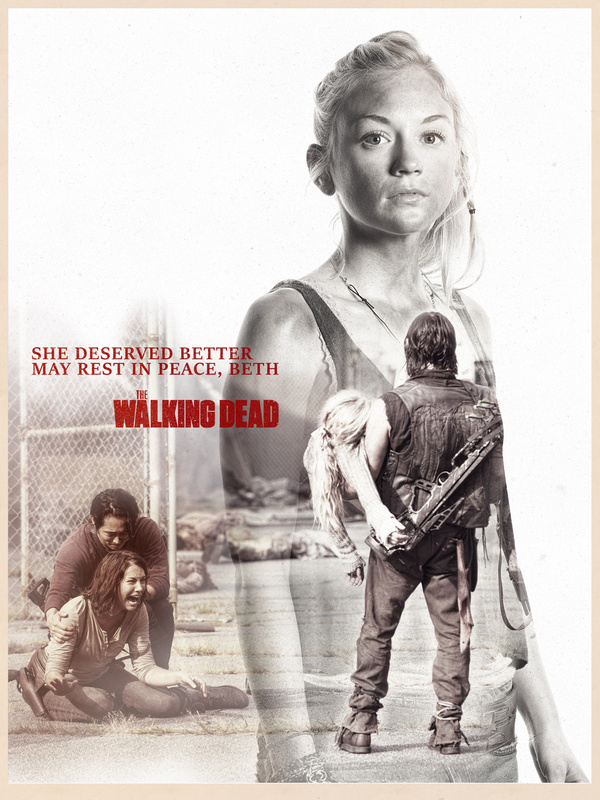 Poster art featuring Beth Greene from AMC The Walking Dead controversial ending about her killing by Officer Dawn in the Season 5 final episode. 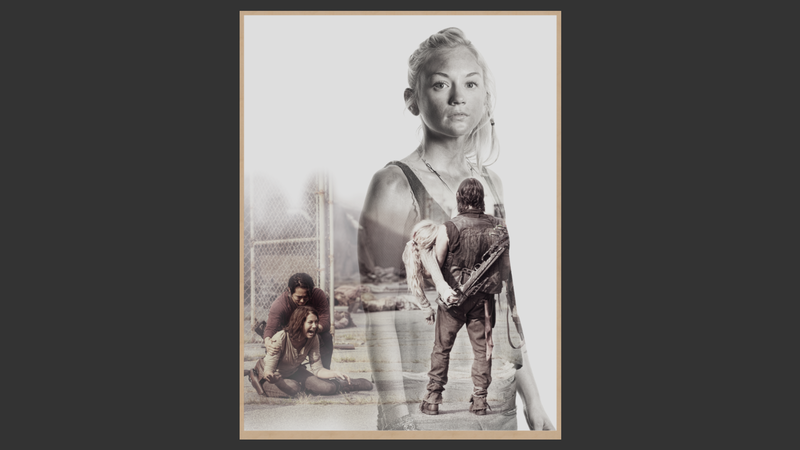 Lots of fans are divided about the shocking ending of the character so decided to do an art about the beloved innocent girl. Working heavy to learn the new double exposure method from True Detective on Ps with cutout photos, clipping mask and layer mask….